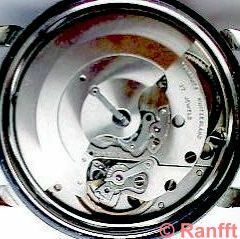 An intermediate wheel between minute pinion and the rest of the train allows big balance and low profile without reducing the sturdiness (cf. Cyma 10 Pleiade). Moreover this layout allows to place the seconds wheel either in the center or for a sub second, without further modifications (details cf. Cyma 488.2).